Clinical depression (also called major depression) is a major hurdle in the lives of many people. In fact, about 14.8 million American adults – nearly 7% of the population – suffer from it during any given year. While it can strike anyone, it is more common among women than men. However, women are more likely to seek treatment. 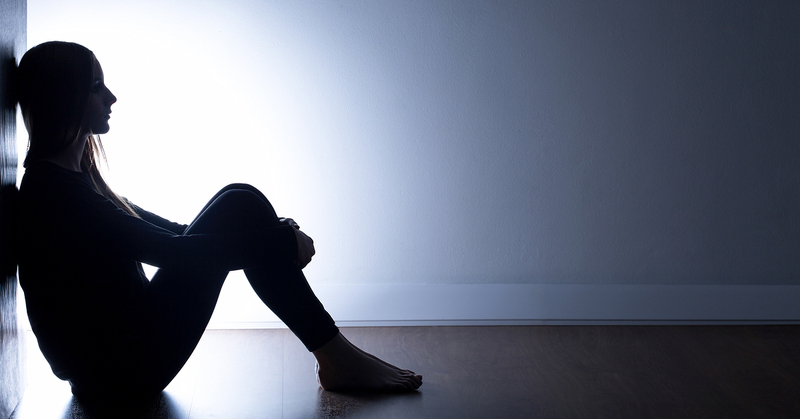 When it comes to teens, the depression problem only gets more severe. In fact, experts estimate that as many as 1 out of every 8 adolescents in America are depressed, but only 1 in every 5 of those get the help they need. Even children, at a lower percentage, can be diagnosed with clinical depression. While the symptoms are very similar in teens and adults, there are some more particular signs of depression in teenagers that parents should be looking for in addition to the list above. Many depressed teens will exhibit poor performance in school or neglect their appearance. They might withdraw from friends or activities that they usually love. They may also show increased hostility or irritability without provocation. Many others will speak or write of suicide or wanting to disappear -- even in apparent joking. Biological or chemical differences in the brain - The brains of people with clinical depression may operate differently from those who do not have it. Hormonal changes or imbalance - Changes in the way hormones in the body are balanced can be a trigger for depression. Genetics - Doctors are studying the role genetics may play in depression, since those with a family history of it are more likely to have the same diagnosis. Substance abuse - These habits may trigger or exacerbate depression, especially for others already at higher risk. Certain medications - Some medicines, such as sleep aids or blood pressure medication, can increase risk for clinical depression. People with depression tend to isolate themselves, withdrawing from their usual social circles. From social media and phone calls, to in-person visits and even pets, help them stay involved with people who love and care about them. When your teen or other loved one wants to back away from things they used to enjoy, encourage them to continue with the hobbies and actives you know they love. It could be as simple as lunch with a few friends, a day trip, or a creative project. The tendency to stay in bed or lay low can only make the depression feel worse. But physical activity itself can be a powerful anti-depressant. If a rigorous or formal workout is too much, begin with a short walk, stretching, or something fun like dancing. Believe it or not, your diet has a big impact on your mood - for good or bad. Foods that can make your mood more volatile include alcohol, caffeine, or foods with chemical preservatives, trans-fats, or hormones (such as some dairy or meat products). When someone has depression, the negative thinking can overwhelm them. They may feel weak, hopeless, and irritable. Encourage them to consider the source of the thoughts that enter their mind, and evaluate the real-world rationality of them. Most of the pessimistic, negative self-talk is actually the depression distorting their normal thinking. No matter your situation, it's vital that you never ignore the signs of depression in yourself or someone you love. In the case of a teen, you are in a strong position to make a major difference in the rest of their lives. With the proper attention and treatment, clinical depression doesn't have to define who they are. As long as you know what to look for, you can reach out for help where necessary. If you suspect depression is becoming an issue in yourself, your teen, or someone else close to you, don't hesitate to ask for help from a counselor or medical professional.